After spending a few days in London , England, taking in several of the well known sights, Bob and I, with our teenaged son, escaped to the peaceful countryside just outside of Salisbury. On a misty morning befitting a visit to the spiritually significant standing stones, we arrived to find Stonehenge hauntingly empty of anyone but ourselves. With a brooding sky in the background, the gargantuan rocks looked more imposing than expected, and the mysterious aura about them drew us in for a closer look. We were free to walk at will around the monoliths, but from what I have recently learned, access to the site today is strictly controlled, tickets must be purchased in advance, and visitors can get no closer than 25 yards to the pillars of rock. 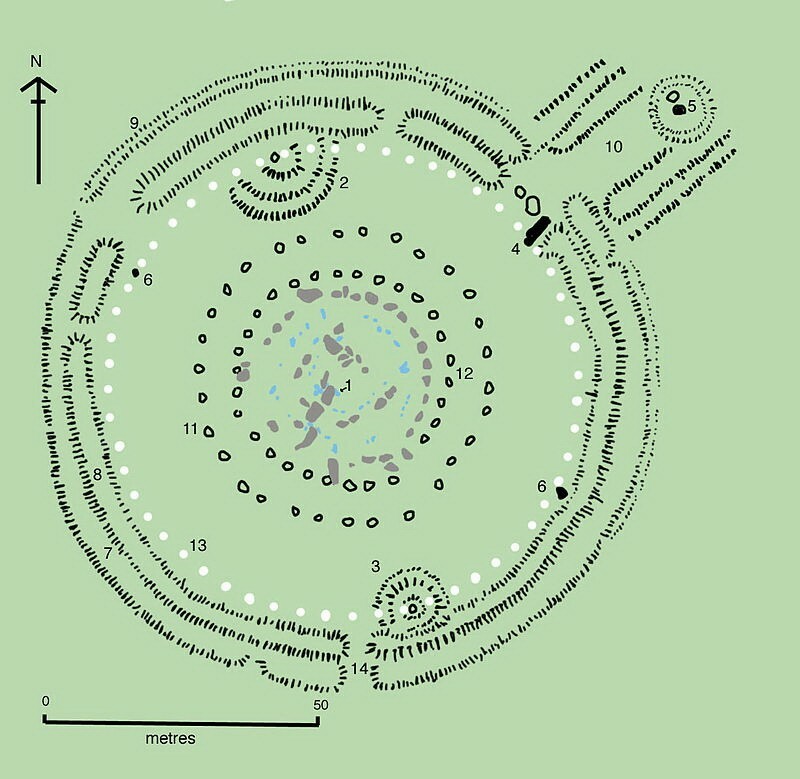 This primitive diagram of the layout at Stonehenge shows a rough overview of the stone circle that is enclosed by a circular ditch. 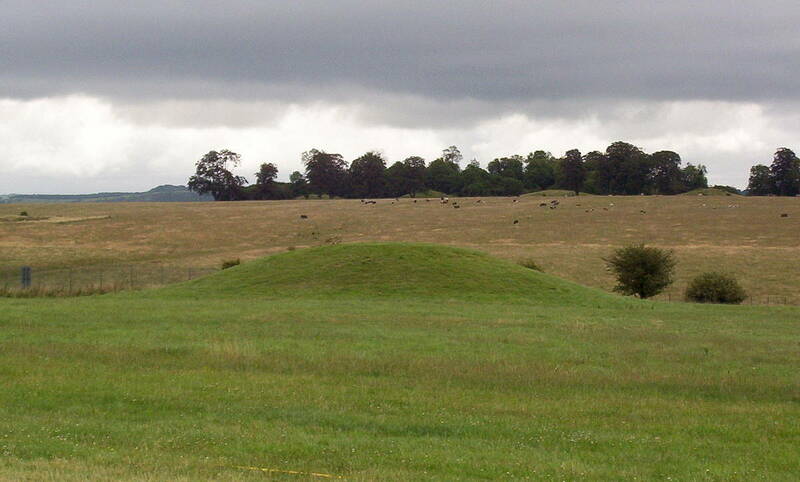 The ditch, constructed around 3000 BC, has both an inner and outer bank and is dotted with circular holes that are thought to have once held either wooden posts or standing stones. Of note are the two entrances that bisect the ditch making the site an early form of henge monument. From this vantage point, the remainder of the ditch and berm on the northeast side is quite noticeable. It has been established that at least 64 cremations and 150 individuals were buried in this ditch making it the largest late Neolithic cemetery in the British Isles. 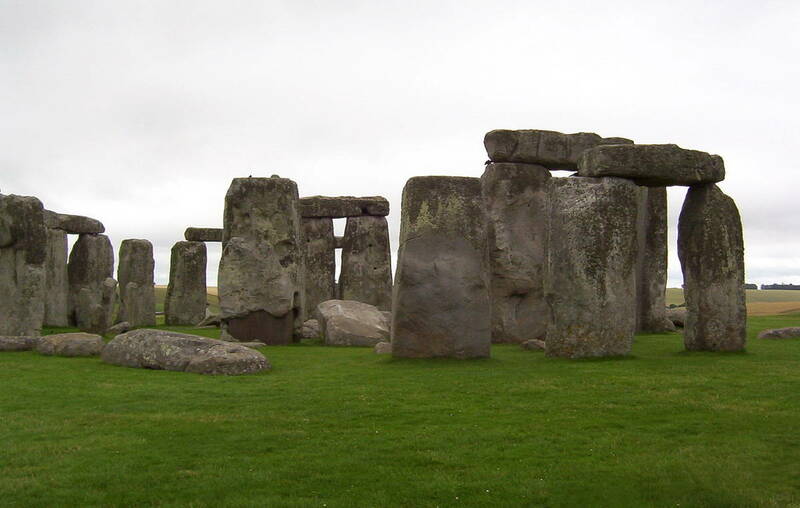 Two types of stones were added to the central cluster at Stonehenge around 2500 BC, the larger stones called sarsens (sarsen sandstone) and the smaller stones called bluestones. 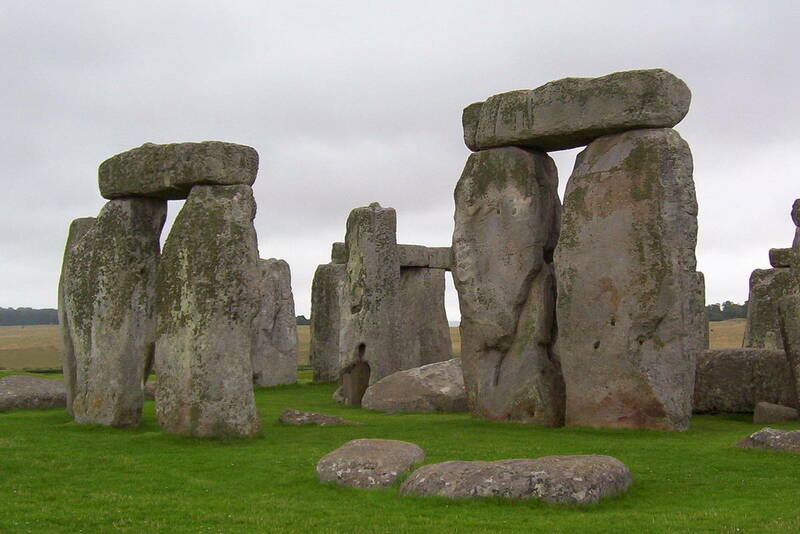 Each sarsen rock weighs between 25-40 tons and can be up to 30 feet tall. Two concentric arrangements were constructed using the sarsens with the inner one in the shape of a horseshoe. It consists of 5 trilithons assembled using the largest of the sarsens. 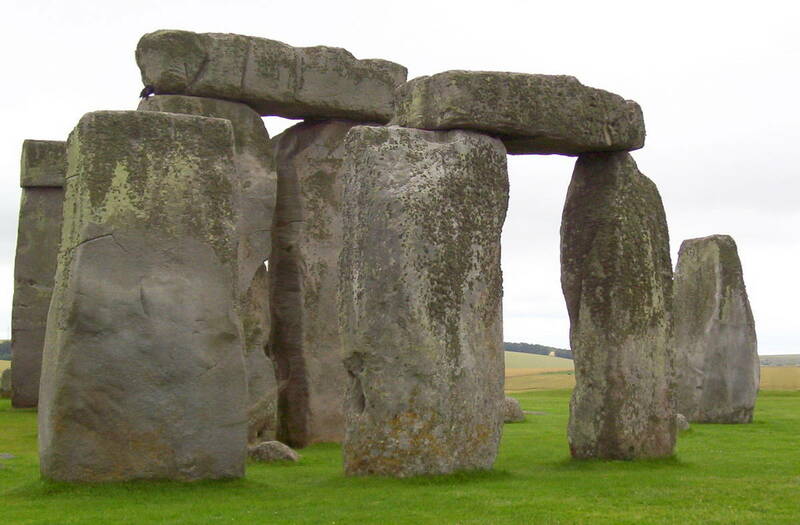 Each trilithon is formed using 2 vertical sarsens capped by a horizontal sarsen called a lintel. Around the inner u-shaped arrangement of trilithons is the remainder of the outer sarsen circle, a ring of megaliths that once numbered 60 at this monument. Only a few remain standing with the lintels that cap them. Many have fallen, and some, including the lintels, are missing. Standing among the sarsens are smaller bluestones, each weighing a mere 4 tons, that once were also positioned to form a circle and inner oval. Bluestone is the common name for spotted dolerite, a type of natural stone that looks blue when wet. 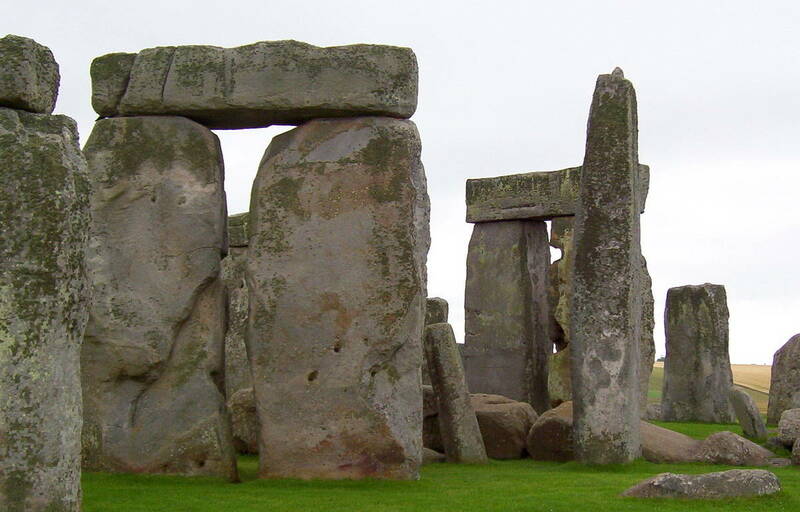 These stones were brought from as far away as the Preseli Hills in southwest Wales…almost 200 miles away! Of the original 43 (or more) bluestones, only 16 are still standing. 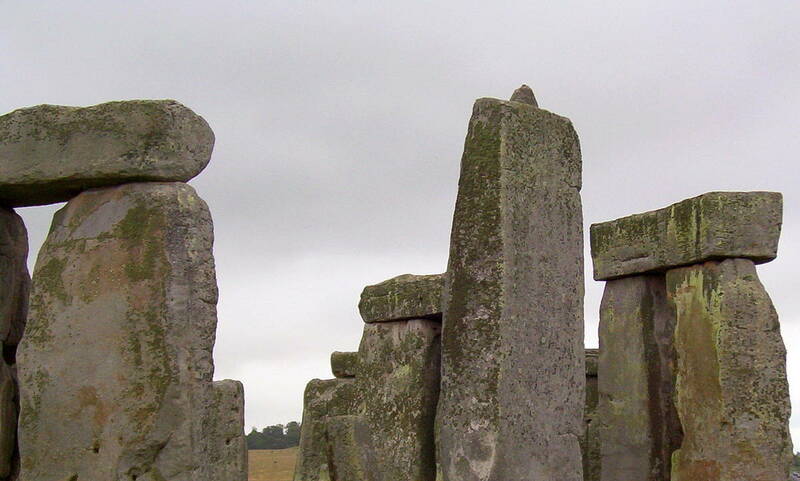 Some of them are leaning or tumbled over, some chipped, others broken, but it is still obvious that these smaller stones had been shaped employing sophisticated techniques such as tongue and groove, and mortise (hole) and tenon (projection). This points to the fact that they were fashioned to fit together and probably had lintels, as well. 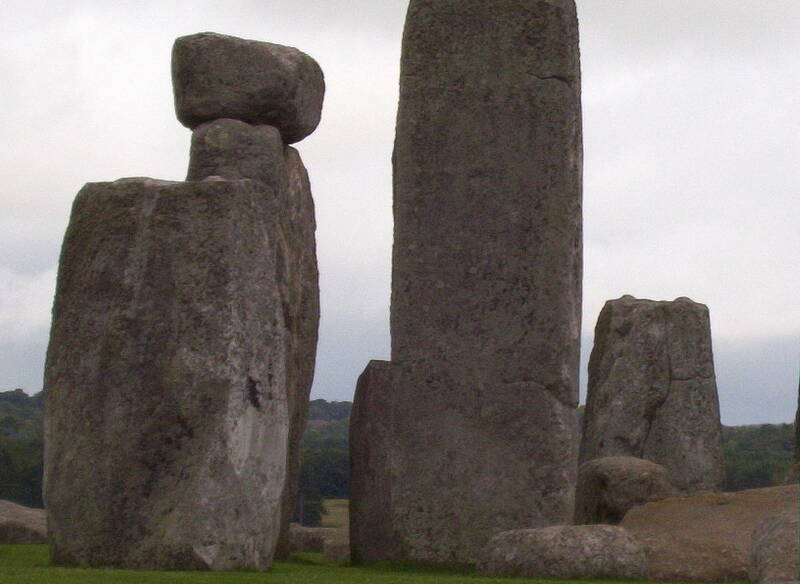 A tenon is noticeable on top of one of the sarsen rocks in this photo. 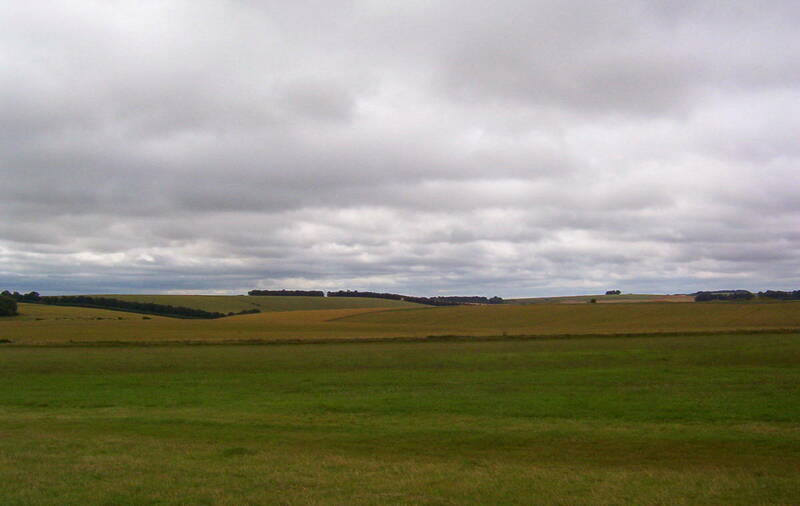 It is thought that Stonehenge was constructed at this location because a large part of England, in prehistoric times, was covered with forests, yet the chalk downlands of the Salisbury Plain probably were unusually open landscape. 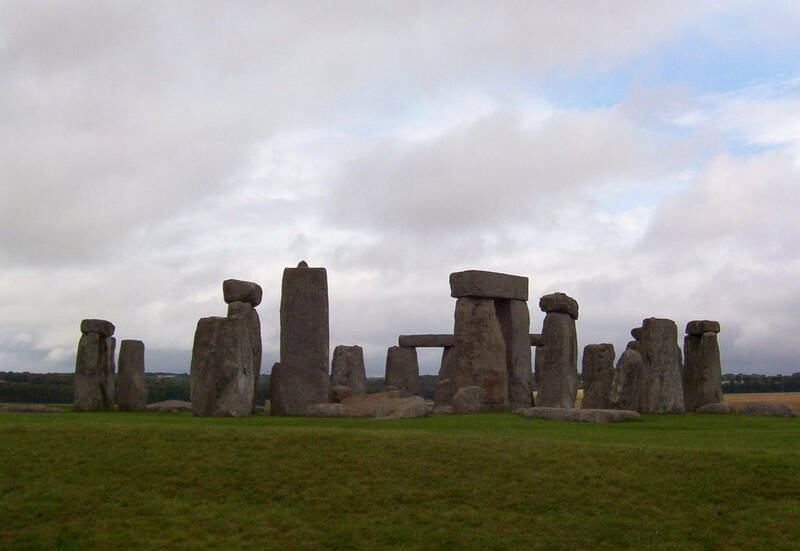 Since Stonehenge is positioned to frame the rising sun at midsummer and the setting sun at midwinter, a grassland setting would have been necessary in order that the sun’s rays reach the monument at dusk and dawn. 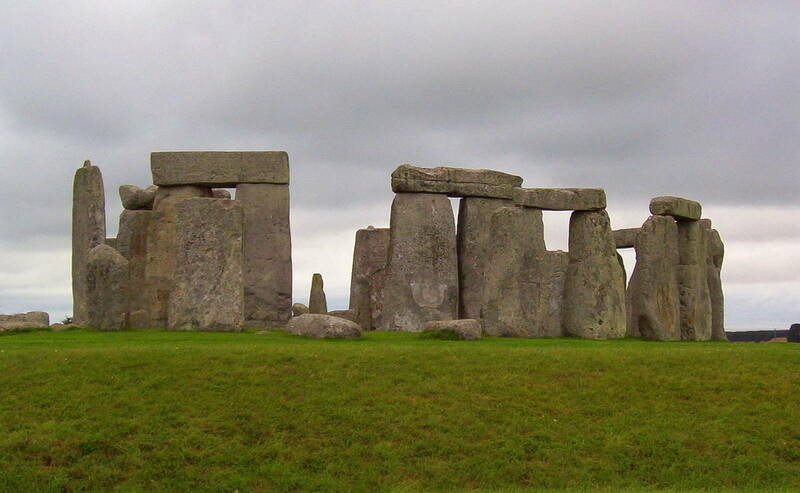 This unique prehistoric temple so perfectly aligned with the movements of the sun still figures into religious and cultural ceremonies for the very same reason that the ancients used it. 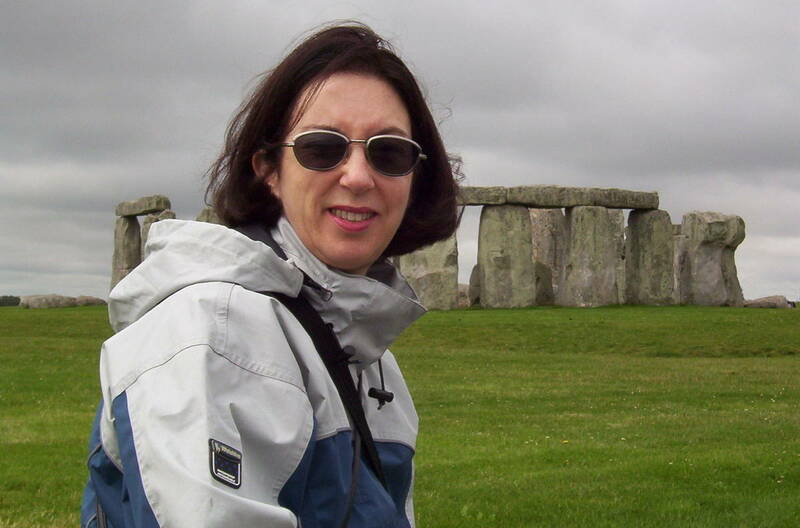 Though the three of us did not visit Stonehenge at the time of the Summer Solstice, it still invoked a strong sense of awe and reverence for the sacred place that it is. After having the place to ourselves for a good hour, a few other holidaymakers started to arrive at this well-known UNESCO World Heritage Site. I wondered if they, too, were seeking the thrill of walking in the footsteps of our Neolithic ancestors. Or perhaps they were simply captivated by the fearful symmetry as I was. 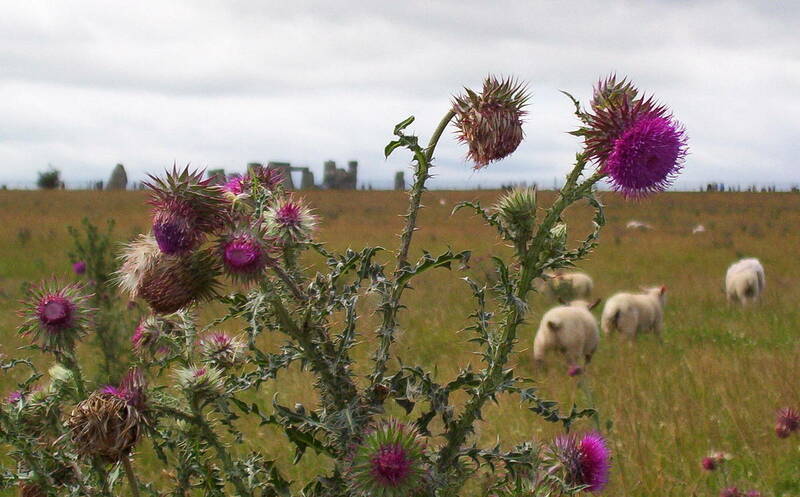 Turning our sights further afield, we were grateful that the National Trust, in 1927, began acquiring the land around Stonehenge so that it could be returned to grassland and preserved for future generations. 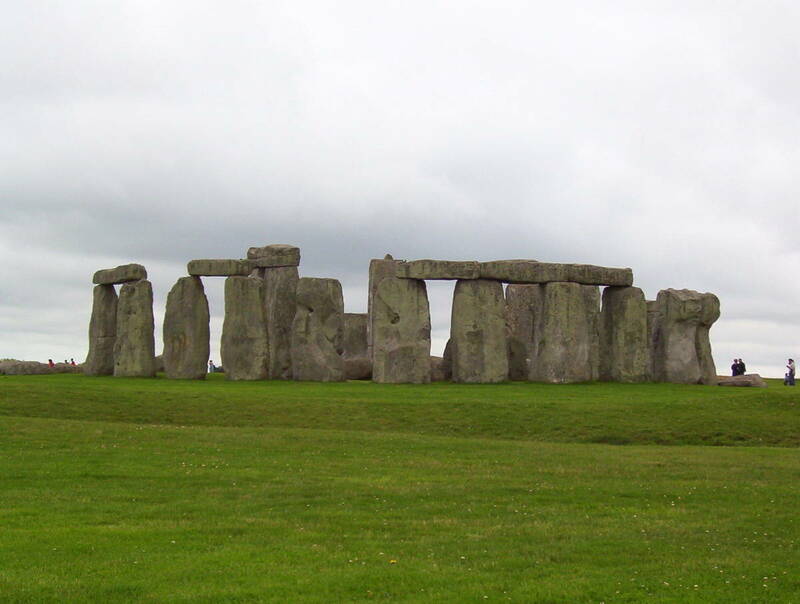 Standing on the Salisbury Plain in Wiltshire, England, on a parcel of land wedged between two rural roads, one might think that Stonehenge is the only significant prehistoric monument in the area, but in actual fact, it lies at the heart of a remarkably rich archaeological landscape. As far back as 8500 BC, during the Mesolithic Period, several pits were dug in the area within which tall totem-pole-like posts were inserted. 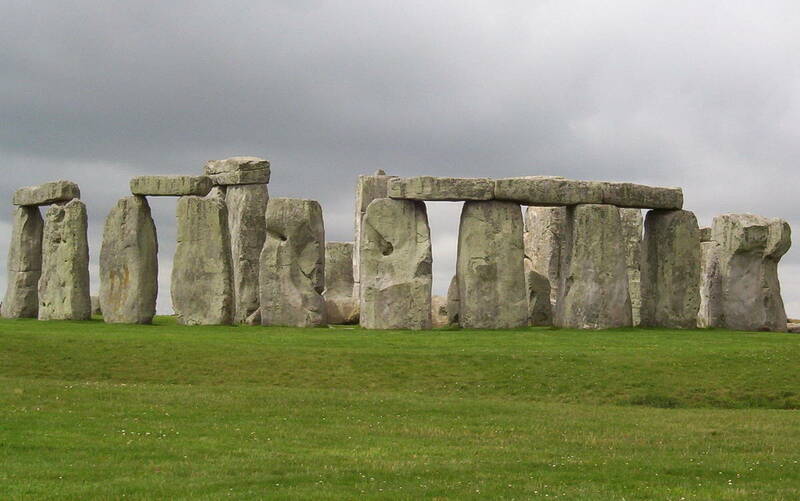 Whether these figured into ceremonies at Stonehenge is not known. 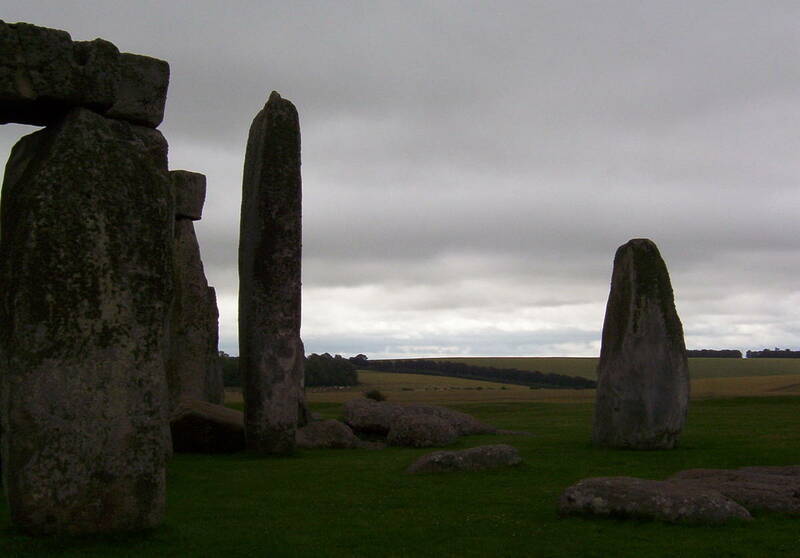 What is known is that another significant henge monument with 3 stone circles is located at nearby Avebury. 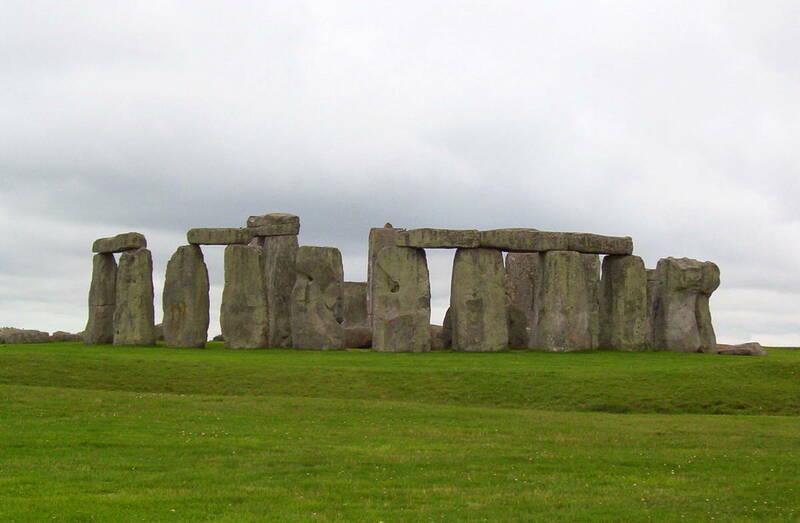 It is the site of the largest stone circle in Europe. The Avenue remains as a faint depression in the grass where once stones were dragged from the River Avon for use at Stonehenge. 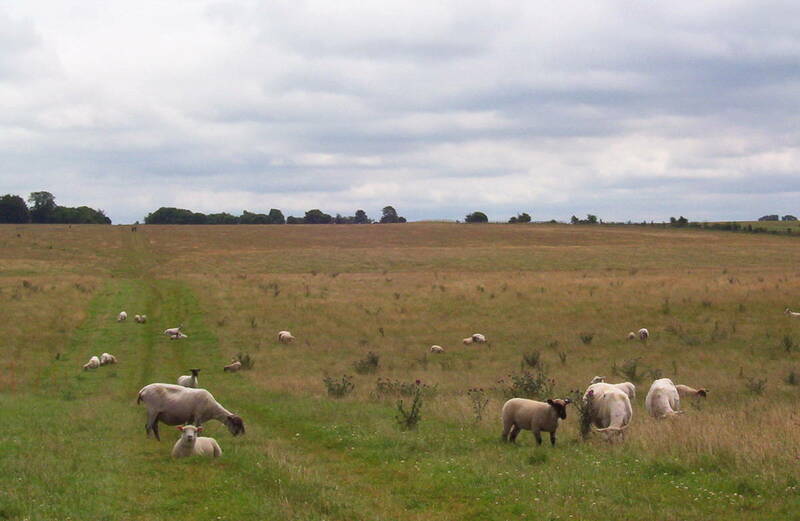 This earthwork, also known as the Stonehenge Cursus, is 3 kilometres long. Now dotted with sheep, clover and thistles, the corridor is barely recognizable. 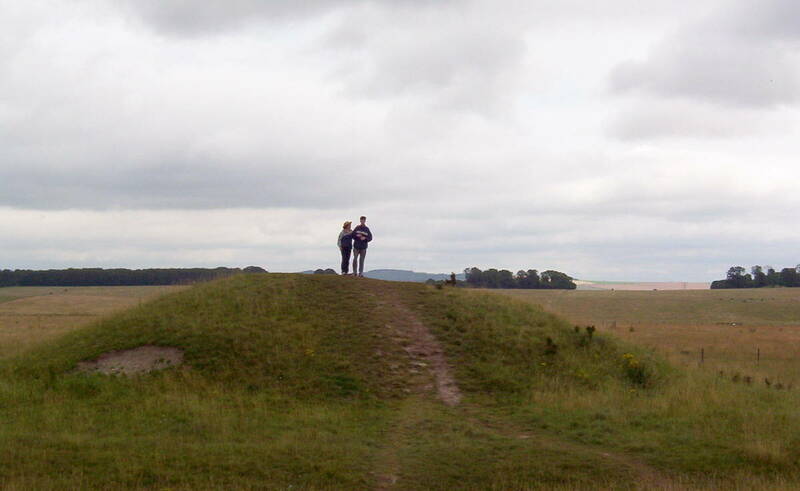 And near the northeastern entrance to the henge, there is a Heel Stone and a Slaughter Stone. Unlike most people who come to Stonehenge and depart after a cursory look, we set off across the downlands in search of other ancient markers. 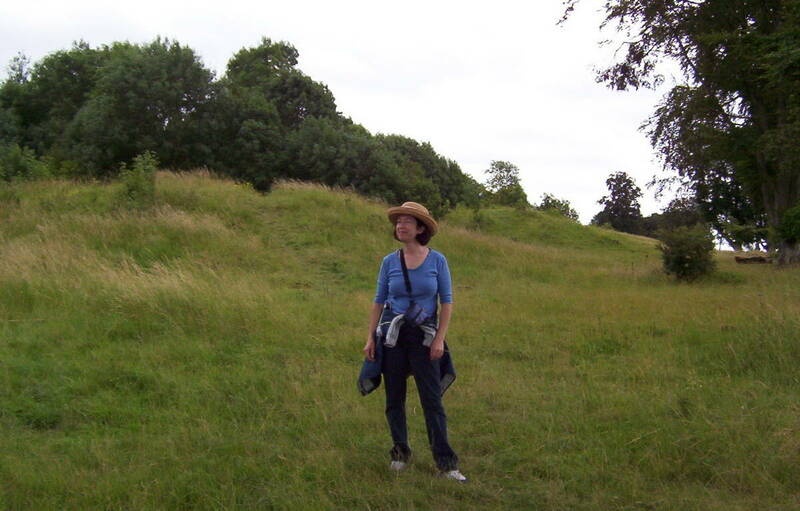 As we wandered, we discovered several barrows or burial mounds that had been constructed during the Bronze Age, between 2500-800 BC. Well worn paths crisscrossed the Plain where prehistoric circles and earthworks can still be seen, so the jaunt was interesting every step of the way. Of four “Station Stones” that once marked a rectangle around Stonehenge, only two remain though we failed to locate them. West Amesbury was three miles distant, and we were intent upon achieving that destination in time for lunch. When the trail grew faint, a lass out walking her dogs was pleased to point us in the right direction. Hiking throughout the English countryside is encouraged, and she made us feel very welcome. 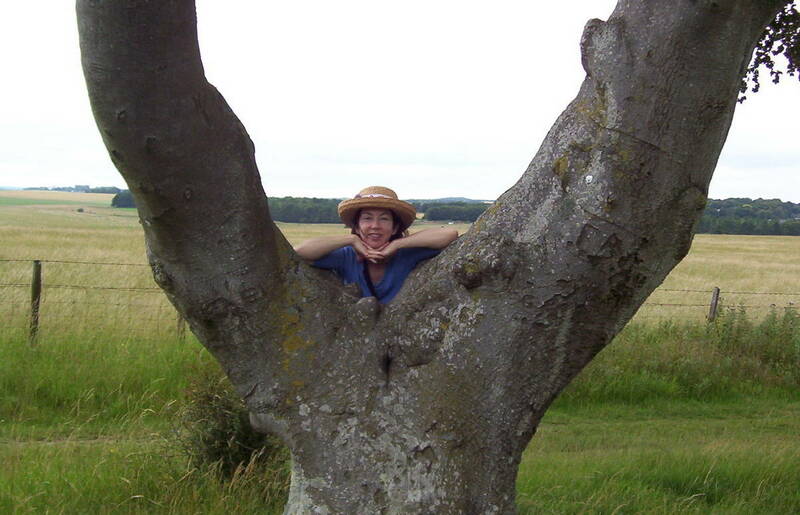 With Stonehenge far in the distance, we were met with obstacles like hedgerows and stinging nettles. Several times, we were obliged to climb wooden stiles and pass through rusty iron gates between pastures and fields. 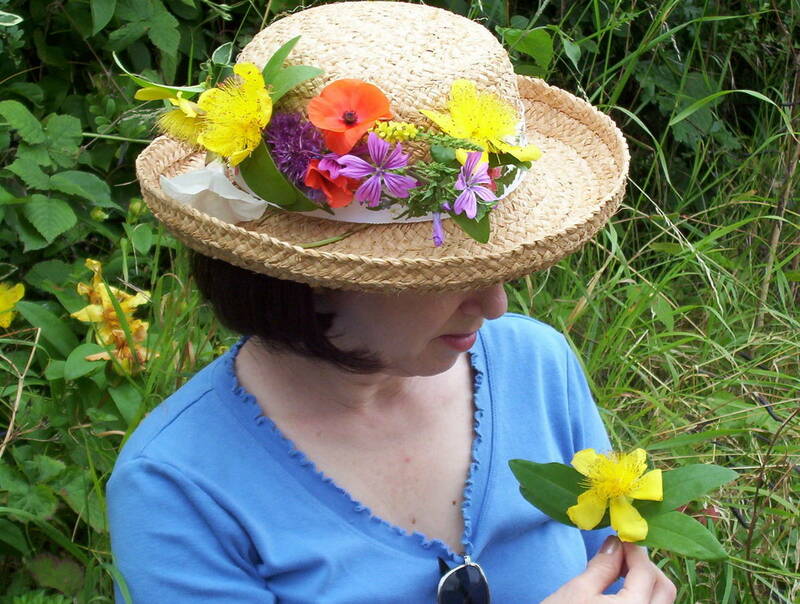 The long grass was dotted with wildflowers, and as we moseyed along, I began collecting a few blossoms to adorn my straw hat. The owner of the flower shop in Amesbury, Cascade Flowers, identified this particular showy bloom as Rose of Sharon or Aaron’s Beard (Hypericum Calycinum). At one point, we came to a secreted small glade in the bush the likes of which Robin Hood might have used as a rendezvous. 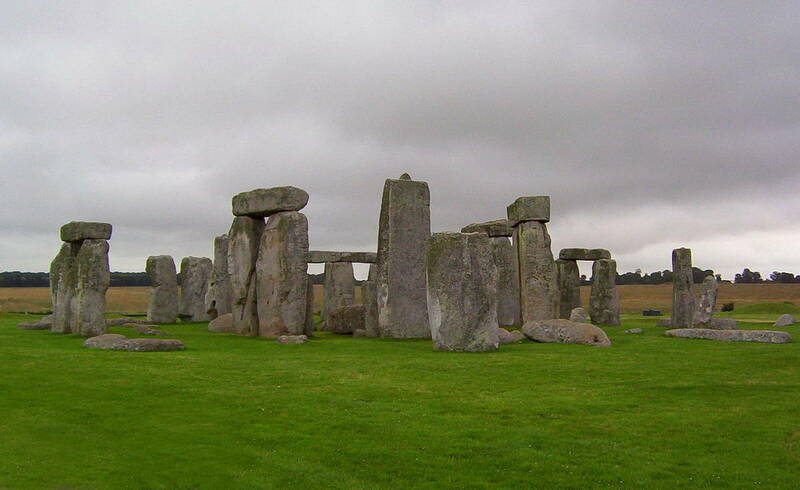 Then later, after a delightful lunch in Amesbury, we caught a cab back to Stonehenge where our car was parked. Looking back on the ghostly monument in the distance, Bob and I felt that it truly is an icon of the past…an image of ancient achievement. 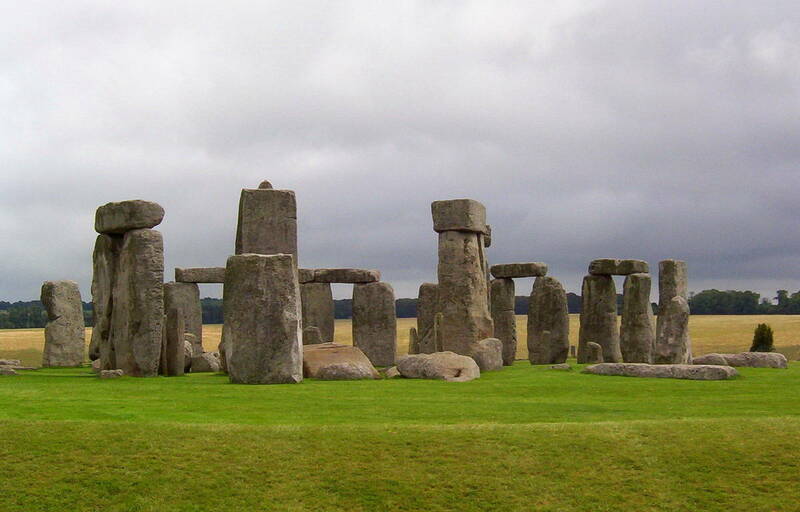 As the only surviving linteled stone circle in the world, Stonehenge certainly is the centrepiece of this remarkable archaeological landscape. No wonder close to a million people come from all around the world to see it every year.